Mueller "will now have access to those transcripts for any purpose that will facilitate justice," Schiff told reporters. He noted the Office of the Director of National Intelligence was still reviewing classified material the committee's former chairman, Rep. Devin Nunes (R-CA), requested permission to publish last September. ODNI has said the transcripts may be ready by May or June of this year. Asked about the move at a press event at the White House, Trump replied that Schiff "has no basis to do that. He's just a political hack trying who's trying to build a name for himself." In the previous Congress, Schiff tried to send the unredacted transcripts to Mueller, but was stifled by Republicans, who said that Mueller's office had not requested them, CNN noted. 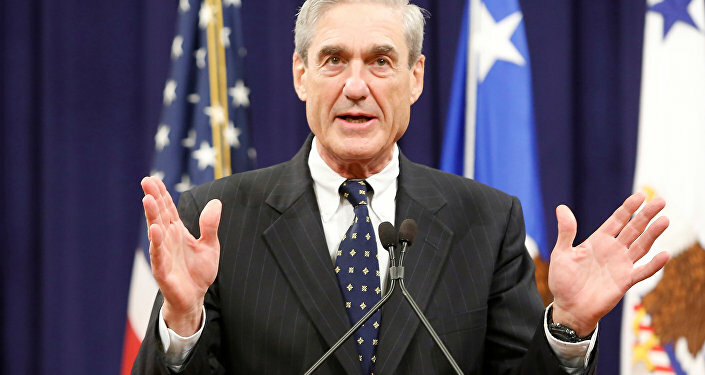 The committee did, however, supply Mueller with transcripts when requested, such as former Trump adviser Roger Stone's, for which he is now indicted by Mueller, charged that he lied in those interviews. Republicans Wednesday made motions to publish unclassified transcripts of interviews with the committee, but Democrats blocked them, saying there actually was some classified material in those transcripts, CNN reported. Republicans also sought to to subpoena a dozen officials, including Utah Rep. Chris Stewart and former FBI Director James Comey, but Schiff blocked that, too, arguing it was premature to subpoena witnesses who hadn't refused to testify voluntarily. However, that wasn't the only move against Trump made by the Democratic-controlled committee Wednesday. Schiff also announced the renewed Russiagate probe would go "beyond Russia" to include Trump's financial interests and "whether any foreign actor has sought to compromise or holds leverage, financial or otherwise, over Donald Trump, his family, his business or his associates." He also noted, "That pertains to any credible allegations of leverage by the Russians or the Saudis or anyone else." Schiff told reporters this will "allow us to investigate any credible allegation that financial interests or other interests are driving decision-making of the president or anyone in the administration. That pertains to any credible allegations of leverage by the Russians or the Saudis or anyone else." The move seems motivated by the ongoing debate about whether or not Trump had financial interests at stake in Russia after denying so during the presidential campaign. Trump's former lawyer, Michael Cohen, pleaded guilty to lying to Congress late last year after testifying that Trump directed him to cover up evidence during his testimony that talks about a prospective Trump Tower Moscow deal between the real estate mogul and the Russian government continued beyond January 2016, when Trump claimed they had stopped. Cohen is due back in front of the House committee on Friday for a closed-door testimony, his first time answering questions in front of a Democrat-controlled panel, as part of an agreement to cooperate with Mueller's investigation. Cohen was also charged with arranging the payment of hush money to conceal Trump's alleged sexual affairs ahead of his bid for political office. He was sentenced to three years in prison.